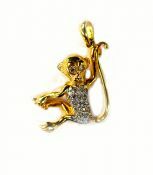 Discover our Fine Selection of Antique Diamond Pendants, Estate Diamond Pendants, Vintage Diamond Pendants and Art Deco Diamond Pendants. 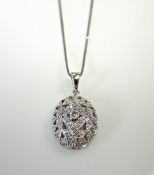 For a larger selection or a custom diamond pendant please contact us or visit our store. 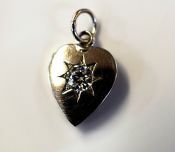 A beautiful Mid Century18kt yellow gold pendant featuring 1 round brilliant cut diamond, est. 0.21ct (SI2 clarity & G-H colour).